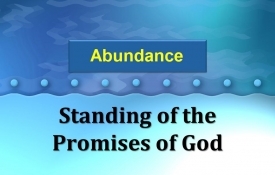 All may drink of the anointing from the abundance of your house! All may drink their fill from the delightful springs of Eden. Your visitations of glory bless the earth; the rivers of God overflow and enrich it. You paint the wheat fields golden as you provide rich harvests.